So if you have little ones, then you probably know its fire week. 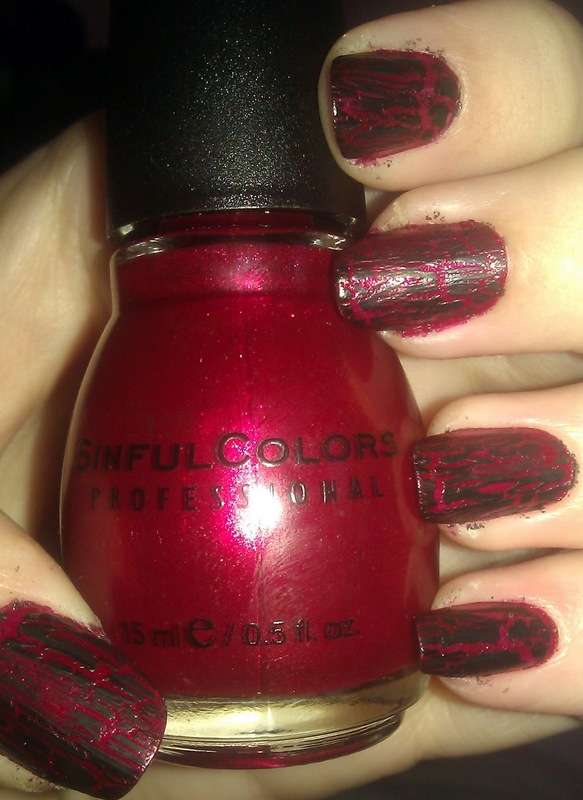 Today i wanted to rock a red mani, then add some black crackle. 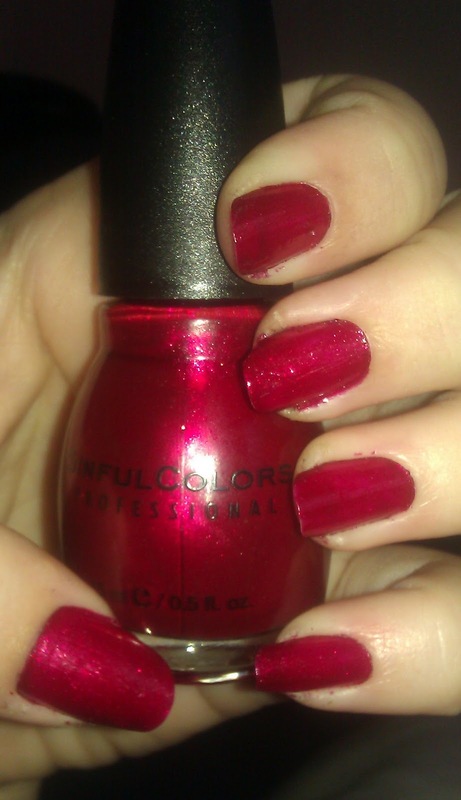 Just this purple toned red with glitter/shimmer looked too Christmas-y for me haha. Here’s 2 coats of Sugar Sugar from Sinful Colors, a bit more purple than I wanted. It has tiny flecks of glitter and shimmer throughout though so I liked it anyway. I didn’t have time to pull off nail art (plus I will be covered in red paint today so…) but I thought a crackle would be nice today. 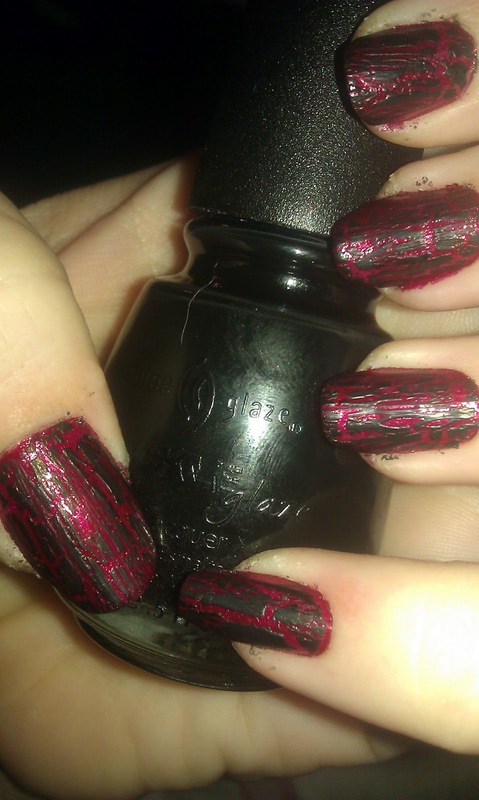 Here it is with one coat of China Glaze Crackle in Black Mesh. I think it cracked nicely today.